The Instron® 3300 Series addresses the needs of standardized and routine testing, providing the user Instron quality at the most affordable price. 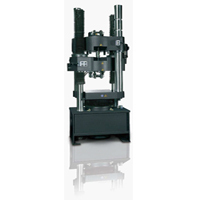 The 3340 single column testing systems are suited for tension and/or compression applications where tests are less than 5 kN (1,100 lbf) and lab space is limited. 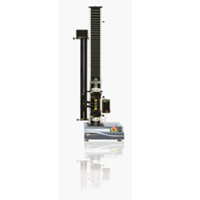 The Instron 3360 dual column, tabletop, testing systems are suited for tension, compression, peel, flex, and other applications with load requirements ranging from 5 to 50 kN. They are typically used for quality control and production testing. Four models are available in load capacities of 5, 10, 30, and 50 kN. 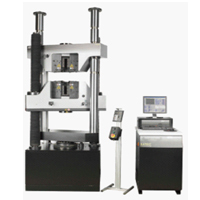 The Instron 3380 floor model testing systems are suited for tension, compression, peel, flex, and other applications with load requirements that require testing up to 250 kN (56,200 lbf). They are typically used for heavy-duty quality control and production testing. Three models are available in load capacities of 100, 150, and 250 kN. 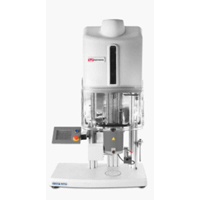 Instron 5940 Single Column Tabletop Model testing systems can be used over a range of force applications up to 2 kN (450 lb, 200 kg). Applications solutions include medical devices, biomaterials, textiles, elastomers, food, small components, wire, paper, plastic, film, and many more. 5948 MicroTester Ultra-High Precision System is a machine that provides solutions to the challenges of testing small assemblies or miniature specimens. It combines an ultra-high precision drive system with high-accuracy load measurement to perform tension, compression, and low-cycle fatigue tests with the utmost control and data collection performance. 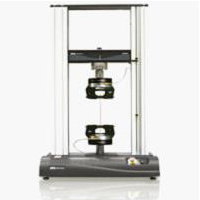 Instron 5960 Dual Column Tabletop Model testing systems can be used over a range of force applications up to 50 kN (11,250 lb, 5000 kg). Applications solutions include plastics, metals, rubber materials, automotive components, composites, adhesives, non-ambient temperature applications, and many more. Instron 5980 Dual Column Floor Model testing systems can be used over a range of force applications up to 600 kN (134,800 lb, 60000 kg). Applications solutions include high-strength metals and alloys, advanced composites, aerospace and automotive structures, composites, bolts, fasteners, plate steels, and many more. 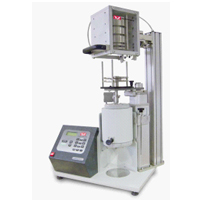 The Instron® CEAST MF50 multi-weight Melt Flow Tester performs melt flow rate (melt index) tests according to MFR and MVR methods that fully comply with ASTM D1238 procedures A, B, C, D, and ISO 1133 A and B, for single weight and multiple weight tests . 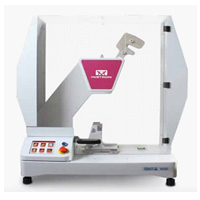 The CEAST 9050 is an advanced pendulum tester that Performs uninstrumented to semi-automatic instrumented tests. Hammer energies range from 0.5 - 50 J (0.37 - 36.9 ft-lbs) and are available for Charpy, Izod, tensile Impact, Dynastat, and pipe testing standards. The versatile CEAST Melt Flow Testers MF20 and MF30 are single-weight systems that are ideal for performing tests according to ISO 1133 and ASTM D1238 Procedures A, B, and C. Compliant with ISO 1133-2 requirements, they can perform reliable tests on commodity materials, as well as on the most temperature- and moisture-sensitive special grade materials. Many different options are available: from primary test inspection to integrated test automation solutions.